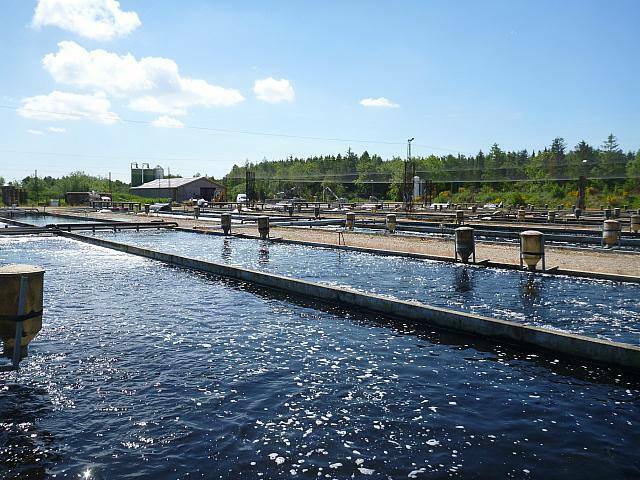 DHI has started an experiment to evaluate the conversion of inland flow-through earth ponds to recirculated trout farms with advanced waste treatment. DHI has collated environmental data from 13 farms before conversion (flow-through) and after conversion (recirculated trout) using two types of farm models. One of the model has been provided with mechanical water treatment and contact filters, while the other model with higher level of recirculation and biological waste treatment. Initial results indicate that conversion to the latter model shows substantial larger reduction in biochemical oxygen demand (BOD) and more consistent reduction in ammonia loss, although operating profits for converted farms are lower than for flow through farms.